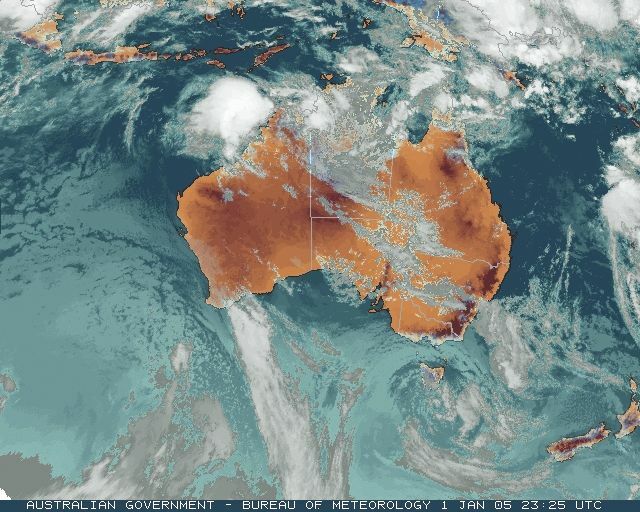 Tropical Cyclone Raymond was named by the Perth Tropical Cyclone Warning Centre just after noon today, with a central pressure of 990hPa and location 340km north of Derby WA. Just 10 hours later, at 10.30pm, it crossed the coast west of Kalumburu after moving on an easterly track. The highest wind gust reported was 91km/h at Troughton Island, just to the north of the cyclone's track. The cyclone, combined with a monsoon low over the WA/NT border, brought heavy rain to the East Kimberley with Kununurra Aero recording its heaviest one-day fall in 30 years with a 24 hour total of 162.2mm to 9am. However, heavy totals were limited to the Kununurra area, with Keep River Rangers, 40km SE of the town but over the border in the NT, reporting 167.0mm. Elsewhere in the Kimberley there were scattered totals of 50 to 80mm in the 24 hours to 9am. 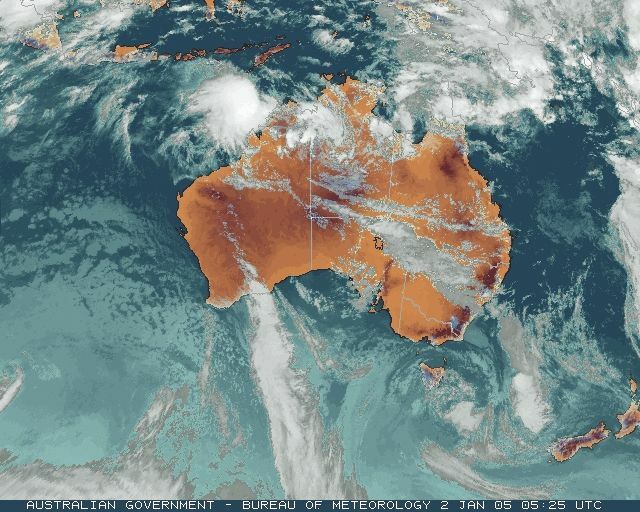 Lockhart River, on the central eastern Cape York Peninsula, reported a second day of torrential rain with 101mm falling between 3am and 9am for a 24 hour total of 181.4mm. That brings its 2-day total to 438.8mm. The rain has been fairly localised to Lockhart River, which is on the east coast with a mountain chain rising to over 300m to the west. Picaninny Plains Station, to the southwest and over the mountains, recorded 153.4mm for the 48 hours and other locations to the west and north on the Peninsula have recorded between 60 and 130mm. Elsewhere in the South Peninsula, Palmerville recorded 10.4mm and Musgrave 2.2. 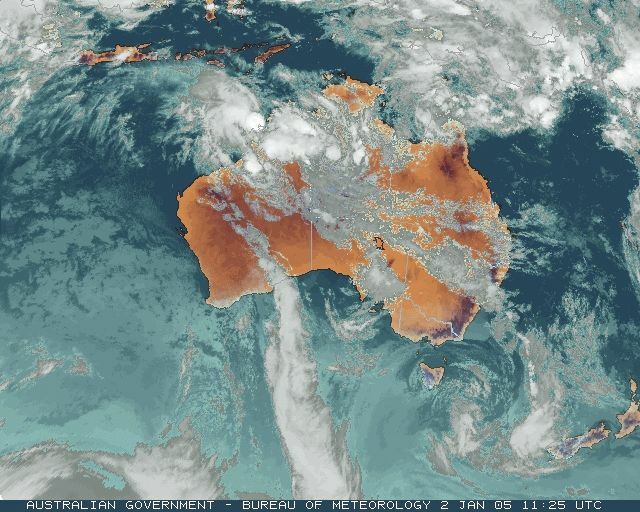 The reasons for the localised heavy rain have been a nearly stationary monsoon trough just to the north of Lockhart River, and the uplift provided to the resulting onshore E to SE winds by the modest range to the west. Minimum temperatures were only 4 to 6C below average on the QLD Central Coast this morning, but that was enough to set a record January low at Mackay Airport where the thermometer dropped to 16.5, 6.3 below average. In 19 years of records, the coldest January minimum has only been 17.9. 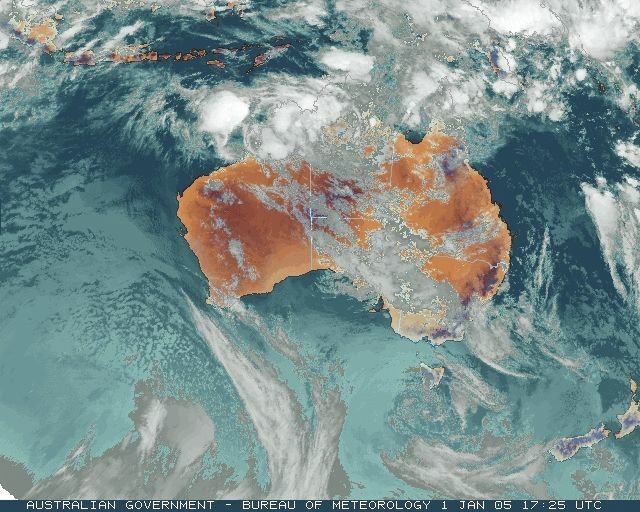 Light offshore breezes, a clear sky and the remnants of the airmass that brought cold conditions to SE AUS last week appear to be the causes. WA firefighters continued to battle a blaze in the Mount Manypeaks Nature Reserve, 40km east of Albany. The fire, started by lightning almost a week ago, has already burnt through 350ha of high value conservation land and the Department of Conservation and Land Management is concerned about its impact on threatened bird species. Firefighters are being hindered by inaccessible terrain, dense undergrowth and thick smoke. Fire burnt through 10ha of the Cleland Conservation Park on Adelaide's southeastern outskirts for about 3 hours this afternoon before 50 firefighters and 3 waterbombing helicopters brought the blaze under control. These records are as received at 1002 EST on 05/02/2006. Help in interpreting these statistics and information on quality control is here. Data is as received at 20:03EST, 14/05/2012.